I hope I can generate the winner of the previous giveaway soon! 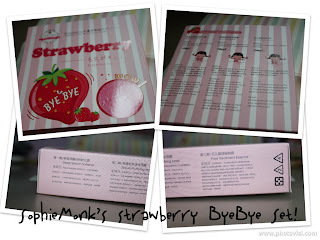 To start off, I'll introduce you to the blackhead remover set which I've been talking and raving all among my friends- SophieMonk Strawberry Bye Bye Blackhead Remover set. This was the brand, which was endorsed by lovely Maiko (She's really pretty, ZOMG!). Before I was approached to do up a review, my friend in Taiwan was going crazy over their range of products and the sleeping mask :D She was also featured in Guradian's previous issue of Feeling Today! 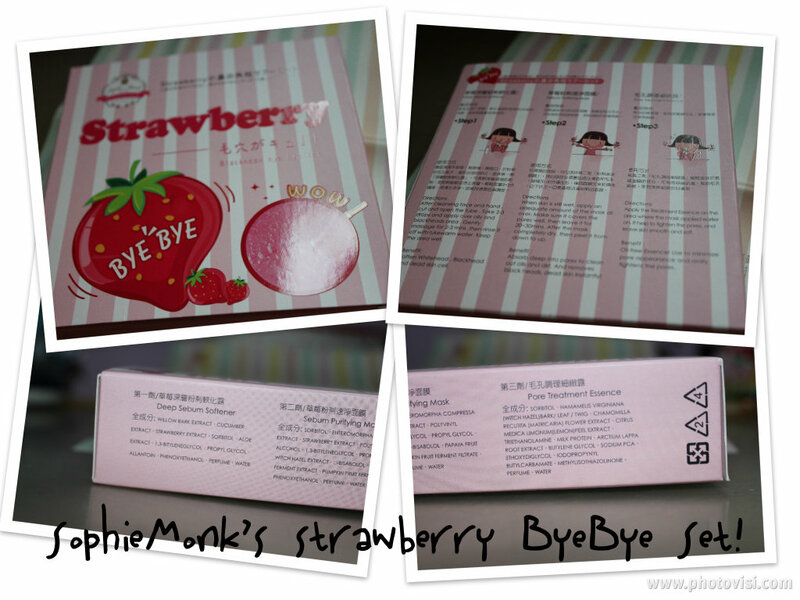 In each set, it contains a wholesome goodness of Strawberry. Even when I opened up the box for the very first time, there's a huge whiff of Strawberry scent rushing out to my nose. The collage above features the pore sebum softener. This is also the first step to this cleansing regime. Apply this to your desired area where there are blackheads that needs to be removed. Massage the softening essence gently to make sure that the essence sips into your skin. This would help to ''make'' the blackheads ''more visible'' than before, making my job easier for the 2nd step of this cleansing regime. PLEASE REMEMBER TO WASH OFF WITH LUKEWARM WATER! The 2nd step- putting on the Deep Purifying Mask onto your face. Well, what I did was to apply the mask to those areas which I've treated with Pore Sebum Softener earlier. It was the 'peel-off' mask type, which made it convenient, especially with working adults! It was in pastel pink and it was a great duo along with the Strawberry goodness :D However, the mask takes up quite some time for it to try, which was a bane to convenience. It needs approximately 20 to 30 mins for it to be dried. Overall, the mask was effective in removing most of my blackheads. Finally, the last and not least- Pore Minimising. After removing your blackheads, we'll have to close up the pores which we've 'enlarged' earlier or else there would be dust and dirt falling into your pore holes! The essence is transparent and I must comment that it's the best pore-minimising essence that I've came across. It closes up my pores and KaBoom! My nose was back to the smooth texture that I had a week ago. Gently massage the essence and let it sip into and close up the pores. This Strawberry Blackhead Removing set is retailing at selected stores- like Guardian at an affordable price of $25.80 SGD. Well, I think it is worthwhile for the results that I've achieved from using this set. Thanks for reading and hope you guys find this post useful! 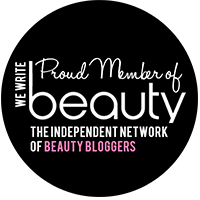 Hello, thanks for reading my blog. I've found your website to be pretty interesting with all that lovely photography that you've featured. A great guide to utilise my Canon EOS 500D!